An Oakland man is being hailed as a hero after helping to subdue a suspect on a stabbing rampage at the Coliseum BART station over the weekend. 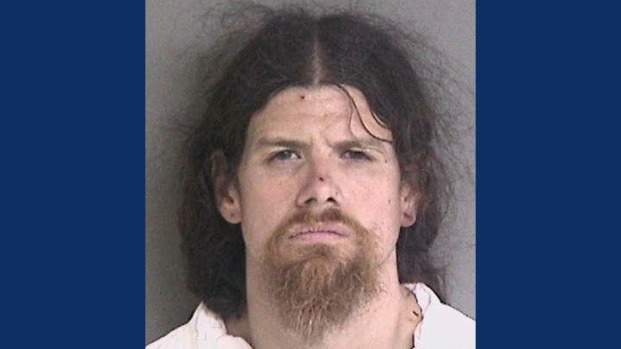 David Harris was reloading his BART card Saturday afternoon when he heard someone screaming then saw a man with a knife repeatedly stabbing a man and a woman. Harris said suspect Robert Dolph, 32, was bigger and stronger, but he decided to jump in anyway because he was an assault victim once himself, and nobody tried to help him. Harris was able to get the knife out of Dolph's hands. "I ran over and took control of his wrists, got the knife away from him and threw him to the ground," Harris recalled. Cellphone video shows Harris and others holding down Dolph until police arrived. Harris said he didn't hesitate to help. "About 15 years ago, I was the victim of a stabbing in the hallway where I lived," he recalled. "In that hallway of people watching, no one did anything. ... I didn't want anyone to feel like that; it wasn't a good feeling." Dolph was arrested on charges of attempted murder. The victims are siblings in their 50s and 60s, apparently attacked at random as they stepped off their BART train, police said. "We're very proud of his actions, bravery," BART police Chief Carlos Rojas said. "Had he not acted, I think we could very easily be investigating a homicide." Harris suffered multiple cuts to his hands but was bandaged and back to work Monday as a landscaper. He said he wasn't feeling much like a hero. "I don't really feel that," he said. "Heroes are first responders who do it every day. I just got lucky." The woman victim was out of the hospital Monday, but her brother remained in critical condition.